Everscapes is an established Brisbane-based complete landscaping company specialising in both residential and commercial landscaping applications, from design to construct. There aren't many landscapers in the Brisbane area that offer all four services under the same roof: consultation, landscape design, landscaping construction and garden maintenance. Have your landscape design fully quoted and constructed using our team of experienced landscapers. Consultations with Alistair, director, can help you translate your ideas and family requirements into possibilities! And create the perfect landscape design with our landscape designer Clare. Our extensive portfolio of landscape design projects illustrates a diverse range of garden and outdoor room designs. We only take on creative, unique and above all exciting for both us and the client. Listonia Landscaping and Building is a building/renovation and structural landscape business dedicated to the pursuit of detailed excellence. We specialise in the construction and management of building and landscape projects throughout the greater Brisbane area. We specialize in the 'wow' factor of design and construction. 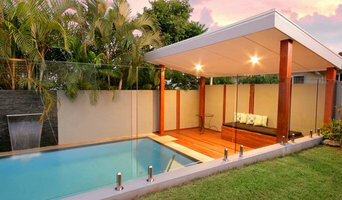 Brisbane's Premier Landscape Design & Build Experts. Best of Houzz. Creating beautiful gardens for our clients has been my life passion. Since finishing my university studies, I have been working in Horticulture in a variety of areas. Working outdoors, reading the climate, understanding the soil, knowing which plants grow well in particular areas, implementing sustainable garden practices, listening to my clients needs and then creating the garden of their dreams. Gardens need to be lived in, so we design them as an extension of the home. It is my hope that by designing and creating these gardens I can encourage more people to get outside and enjoy the lifestyle benefits it brings. Professional Landscaping and gardening business. Creator of feature landscapes, gardens and water features. Builder of resort and restaurant gardens and design. TruScapes are a team of landscaping professionals aiming to deliver services in all aspects of landscaping design & construction. We are a full-service landscaping company, and we offer a wide array of landscaping services to meet your individualized needs. Our passion is seeing families experience their dream space for the first time and the genuine enjoyment and feedback. We aim to provide the best possible service by taking the pressure off and delivering a well planned and executed landscape. It is the little differences that set us apart. Our skilled landscapers ensure you receive the expertise needed to get your job done right. We take great care to meet your needs, calling on our experienced team who have worked with us and proven their values over recent years. Give us a black canvas of your new home and we will design a space that will be warm, inviting and individual that your family and friends can enjoy for years to come. Brannelly Outdoor is a multifaceted Landscape design company. Our primary focus is on design & originality. Brannelly Outdoor focuses on creating outdoor spaces of unique design and unparalleled quality. Guru Construct is one of the respected landscape contractors Brisbane property owners trust and recommend for all of their landscaping architectural design, construction, and maintenance needs. We always aim to deliver world-class and quality landscaping services with superior customer service. We believe in empowering our customers by informing them of their best options allowing them to arrive at a sound decision when it comes to creating their outdoor space a man-made paradise. No job too big or too small! Our efforts to make each project highly customised for each client is one of the things that sets us apart from other landscape contractors. We can bring your vision to life because we are capable and more importantly, we listen to you. Penfold Projects specialises in creating stunning landscaping works for the residential, commercial, and infrastructure sectors. Established in 1997, we have put our stamp on many of Australia’s landmark projects, while maintaining the versatility and hands-on approach our extensive clientele expects. Our experience, attention to detail, and our unrivaled ability to complete projects with commitment and expediency areindustry renowned. We have been recognised by the numerous awards and accolades received over our years of operation. 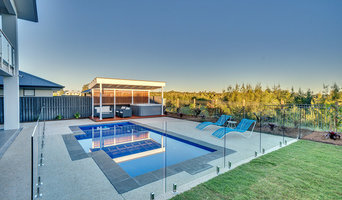 Penfold Projects can deliver a wide range of services from hard and soft landscaping, minor construction, structural and decorative concrete, pools and surrounds, civil and drainage, landscape maintenance, and landscape design. Our quality of workmanship and back of house support has established us as one of the only landscape companies in Australia to hold ISO certification in Quality, Safety and Environment. Greenform Landscapes is a small landscape design & construction outfit. Our work embraces the outdoors and the endless forms and functions made possible thanks to some creativity and know how. Our focus is on providing a unique and creative approach to every outdoor space combined with a high level of workmanship. We work closely with every client to ensure the best outcome regardless of size, variables and budget. Livable Landscapes offers premium residential and commercial landscaping services in Brisbane. Range of residential services include retaining walls, decking, paving, concreting and tiling, planting and mulching, decorative stone, fencing, water features, and pool surrounds. Contact us for right advice and trusted professional services. Landscapers servicing Brisbane North to the Sunshine Coast t/a Instant Greenscene. We are a specialist Brisbane Landscaping team comprising of garden designers, structural landscapers and irrigation sprinkler system experts. 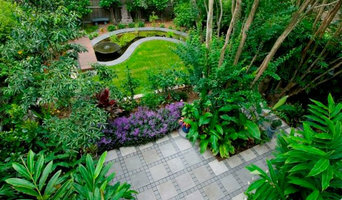 Landscaping Brisbane since 1998 Our team offers a full range of horticulture, structural landscapes, landscape drainage and irrigation services. These include soft landscaping such as garden design and implementation, structural landscaping such as retaining walls and paving as well as irrigation sprinkler systems and landscape drainage. With our extensive industry experience, our team have the knowledge and confidence to deliver creative and innovative landscapes. We strive to maintain the highest standards in Brisbane Landscaping from concept through to completion. This has maintained our positive reputation and continues to bring us repeat customers and ongoing referrals. 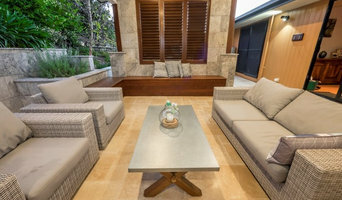 Soft Landscaping, Garden Design and Build Jasmine Landscapes specialise in residential and commercial landscaping designing and building innovative and traditional gardens of style and character throughout the Brisbane region. What can a Brisbane, Queensland landscape contractor or gardener do? Landscape contractors can take on big or small jobs, from lawn mowing to building a deck. Many companies in this category execute lawn, garden and hardscaping plans that have been drawn up by a landscape designer or architect, while some can also provide design services of their own. They can lay paving, decking and erect retaining walls, with a skillset that spans bricklaying and stonemasonry to rendering. They can also construct the likes of pergolas, gazebos, fencing and water features. A qualified gardener or landscaper will have a thorough understanding of horticulture and will be able to choose plants, garden edging and materials that will complement your home and thrive in the climate. 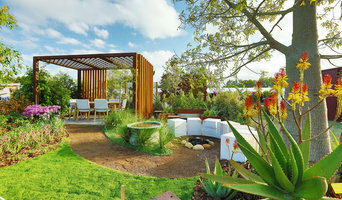 Furthermore, they will be able to assist you in creating a waterwise and sustainable garden that can save you money on your energy and water bills, while also helping the environment. Landscape gardeners can then maintain plantings, take care of weeds and pests, and perform other tasks such as lawn mowing and pruning to keep your front or backyard looking its best. Many contractors will also provide project management services, and will be able to arrange for council permits, hire subcontractors and make sure that landscape designs comply with any relevant building codes. Here are some related professionals and vendors to complement the work of landscape contractors & gardeners: Landscape Architects & Designers, Garden & Landscape Supplies, Stone, Pavers & Concrete, Arborists & Tree Services. Find landscape solutions and Brisbane, Queensland gardening services on Houzz. Scroll through this page to find professionals that offer landscaping and gardening services in your area. You can browse their latest projects, read reviews and see how other homeowners rate their work, and message them directly. You can also look through Outdoor Photos to find spaces you like, then contact the professional who worked on them.